On October 12, 1969, Russ Gibb, a DJ for radio station WKNR-FM, received a disturbing phone call from a caller who said if he listened to certain Beatles songs, he would hear proof that Paul McCartney was dead. Shortly thereafter, Alex Bennett of WMCA-AM in New York told listeners of his radio show that the Beatles themselves had left "clues" pointing to the cute one’s demise. Apparently Paul had stormed out of Abbey Road studios after an argument with the other Beatles, had driven away in his Aston Martin sports car, and was decapitated in an auto accident. Apple Corps and studio management covered up the death to keep record sales alive. The missing Fab been replaced by a man named either William Campbell or Billy Shears who had plastic surgery to resemble Paul. The band stopped touring at this time so people wouldn’t notice the substitute musician. Even in a pre-Internet era, the rumor spread and soon fans were asking, was Paul really dead? The gossip grew so persistent that representatives from Life magazine traveled to Paul’s secluded home in Scotland to get the facts. When they found Paul and his family healthy and whole, they published a cover photo of the McCartneys with the headline, "Paul is Still With Us" (Nov. 7. 1969). In fact, Paul was involved in a car crash on Nov. 9, 1966 while driving home after an all-night recording session, but he survived with minor injuries. In 1993 he poked fun at the hoax with an album named Paul is Live. On the Sgt. Pepper’s album cover, a funeral arrangement of flowers form the shape of a left-handed bass, Paul’s instrument. The goddess Kali, as seen in a small statue front center, is an eastern symbol of rebirth. Paul holds a black clarinet (black the color of death) while the others have gold instruments. A man has his hand raised over Paul’s head, a sign of death. On the back of the album cover, Paul has his back to the camera while the other three face forward. George is pointing up at a song lyric that reads, "Wednesday morning at five o’clock," the time of Paul’s death. The back cover is red, the color of blood. The patch on Paul’s left sleeve says "OPD" (Officially Pronounced Dead). (Paul claimed the patch really meant "Ontario Police Department"). 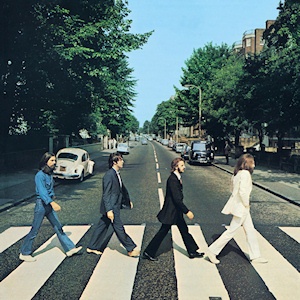 On the Abbey Road album cover, Paul is out of step with the other three Beatles and holds a cigarette, also called a "coffin nail." He is barefoot, a sign of death. He wears burial clothes. John is dressed in white as an angel, Ringo is in a suit as an undertaker and George is in jeans as a gravedigger. The white VW to the left of the cover has a license plate "28 IF." If Paul had survived the crash, he would have been 28 years old. On the back of Abbey Road, the word "Beatles" is painted on a wall. A crack runs through the word, a sign that the group has been split apart. The song "Come Together" says "one and one and one are three"—only three Beatles are left. "Come together over me" are the survivors gathered around Paul’s burial plot. In the fadeout of "Strawberry Fields," John says, "I buried Paul." (John has always claimed that he actually said "Cranberry sauce"). The sound montage of "Revolution No. 9" from The Beatles double album (also called the "White Album") has the sounds of a squealing tires, a fire, and a man saying "Get me out!" as if Paul was trying to escape from a burning car. A voice says "number nine" repeatedly which, if played backwards on an old-fashioned record player, sounds like "turn me on, dead men." The original "White Album" records included a photo poster. Paul’s headshot shows a scar above his lip—the result of plastic surgery on his replacement? Other photos show Paul’s apparently severed head floating in a bathtub and white ghost hands reaching out to grab him. I refer to these "clues" in my mystery, The Baffled Beatlemaniac Caper (Oak Tree Press), set at a Midwest Beatles fan convention. A member of the tribute band is fatally shot. His last words are "Rocky Raccoon," Beatles song title. The victim leaves behind a sheet of paper with "GEORGE 28 IF" scribbled on it. Read the book to find out how these "death clues" name the killer! She has a master’s degree in theater from Indiana State University. While in school two of her plays, "Star Collector" and "Common Ground," were finalists in the American College Theater Festival One-Act Playwrighting Competition. "Star Collector" was produced in New York City and also the inspiration for her book. Carpenter also has a master’s degree in theology and a black belt in tae kwon do. 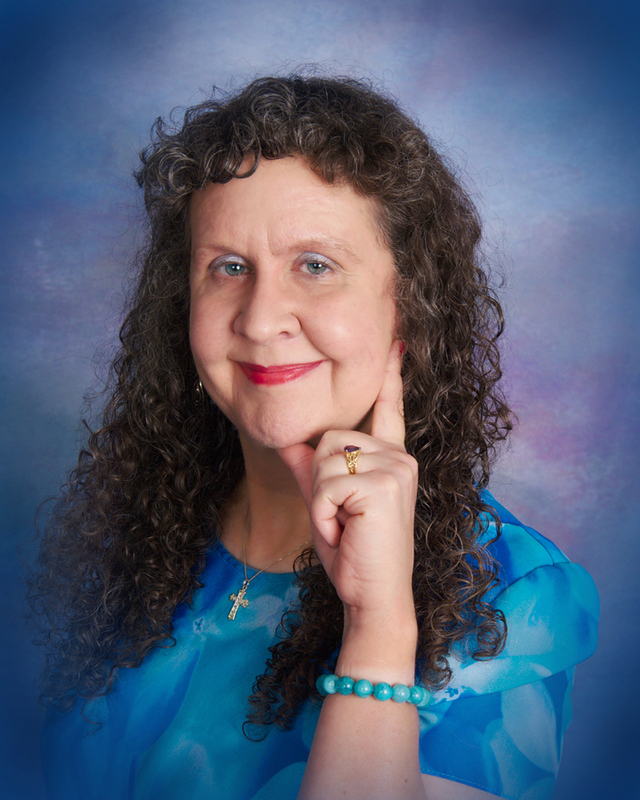 She’s worked as an actress, freelance writer, college writing instructor, theater critic, jail chaplain and tour guide/page for a major movie studio. She’s now employed at a community newspaper. She’s a member of Sisters in Crime/Los Angeles and "mom" to two black cats. Contact her at Facebook or scwriter@earthlink.net. 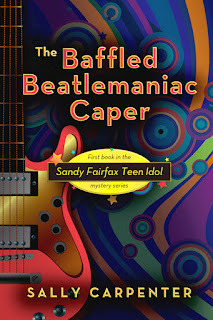 The Baffled Beatlemaniac Caper was an Eureka! Award finalist for best first mystery novel and is available in print, Kindle and Nook on Amazon.com, Barns & Noble.com and http://oaktreebooks.com. Sally, I'm so sorry about the typo - I can't get in to correct from my iPad and Im traveling. I will fixit on Tuesday. Thanks Gayle. And you have a new sleuth/PI out as well, Johnny Casino! This is a great tease for the book. I've already done my part with an Amazon review--you can read the review (done as Denise, my alter ego) when you click to go buy the book. Oh--my brain just substitutes something that it expects for what it actually sees. GRIN Hey, I wish I were stuck in NYC! My kind of town!! You can take the NBC Studio Tour at Rockefeller Center and it's really air-conditioned. Or go down to the Algonquin to see the Round Table where Benchley and Dorothy Parker sat. So many great places to see! Shalanna/Denise wrote a fantastic review on Amazon. Thanks! I appreciate it!